We’ve been trying to come up with every conceivable comparison vs. article that will benefit you our reader. In this case, even brothers and sisters fight from time to time. ZenPad vs ZenPad? Sure, why not. In this situation, you might be asking whether the extra price for the ZenPad S is worth it for you. 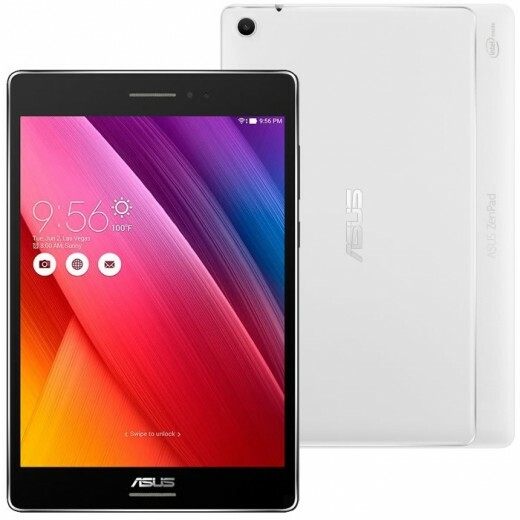 Perhaps those customizable features of the ZenPad 8.0 are tempting to you. Let’s have a closer look. First off, ZenPad S is about premium. Top of the top. Even then, both of the S models are not equal. The Z580CA is ultra premium compared to the Z580C premium model. We think for this comparison, we will compare the ZenPad 8.0 vs. ZenPad S Z580C. This would be a more fair comparison. I think the initial discussion point should be in the unique qualities that the ZenPad 8 has over the ZenPad S and vice versa. If you like style and customization, then the ZenPad 8.0 is worth looking at. The fact is the ZenPad S does not have the swappable back covers and the custom case accessories from Asus that simply snap into place. A quick overview, the customizable accessories include: multiple color options for back plate covers, Audio Case with 5 speakers built into it (including a subwoofer), the Clutch Case (looks like a purse), and a Power Case (built in battery). You just don’t see that type of customization in tablets. These accessories match the style and color of the ZenPad 8.0 so there is no extra bulk. One big difference is the fact that the ZenPad 8.0 (Z380KL) has 4G LTE and voice. That makes it the next generation FonePad. The ZenPad S 8.0 simply doesn’t offer cellular connectivity. Is a 8-inch tablet too big as a phone? That’s a personal decision of course. However, it’s still a feature that the S Series simply doesn’t offer at this point. However, what you get in customization/accessory options, you will sacrifice in sheer specs when comparing to the Z580C tablet. Let’s break down the specs so you get a better idea. Most of the other specs, like storage and cameras are quite similar. Audio wise though, there is quite a significant difference. The ZenPad 8.0 has 1 front facing speaker, in comparison to the ZenPad S which has 2 front facing stereo speakers. Price is obviously going to be quite a bit different. It will be what separates the flagship ZenPad S from the rest of the models. Perhaps you don’t need the latest and greatest, and the customization holds more value to you. I don’t think you can, the Audio Cover only fits the Zenpad 8, not the 8S.